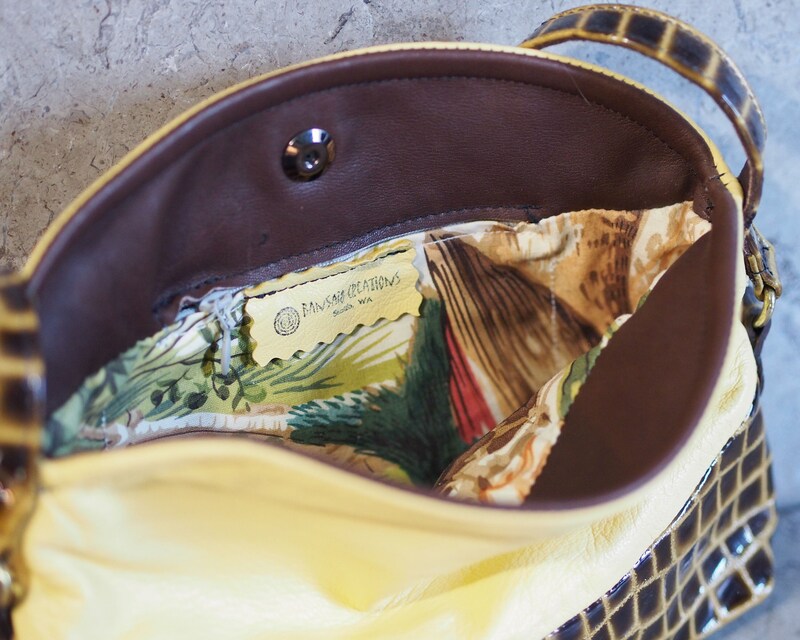 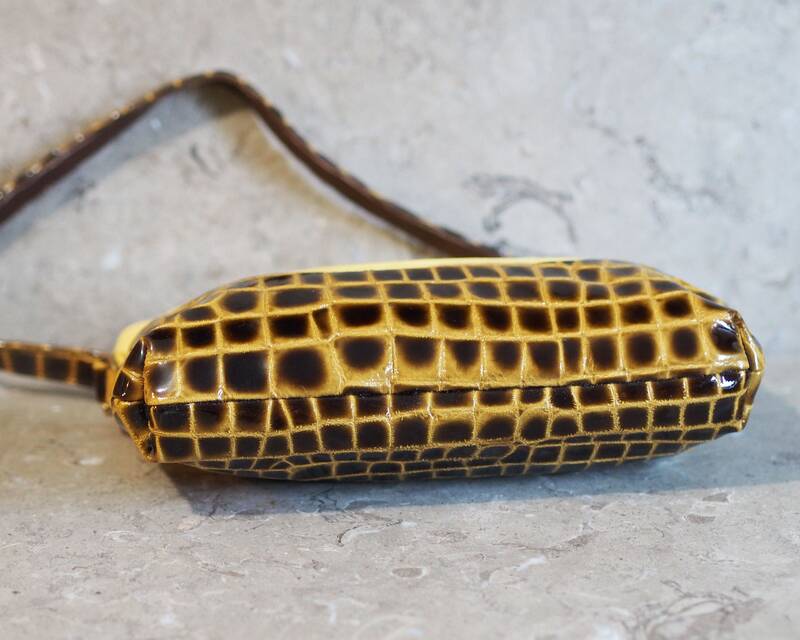 This small handbag is OOAK due to the vintage cotton lining with a jungle theme suits the soft banana yellow and patent embossed croc lambskin in browns and yellow shades. 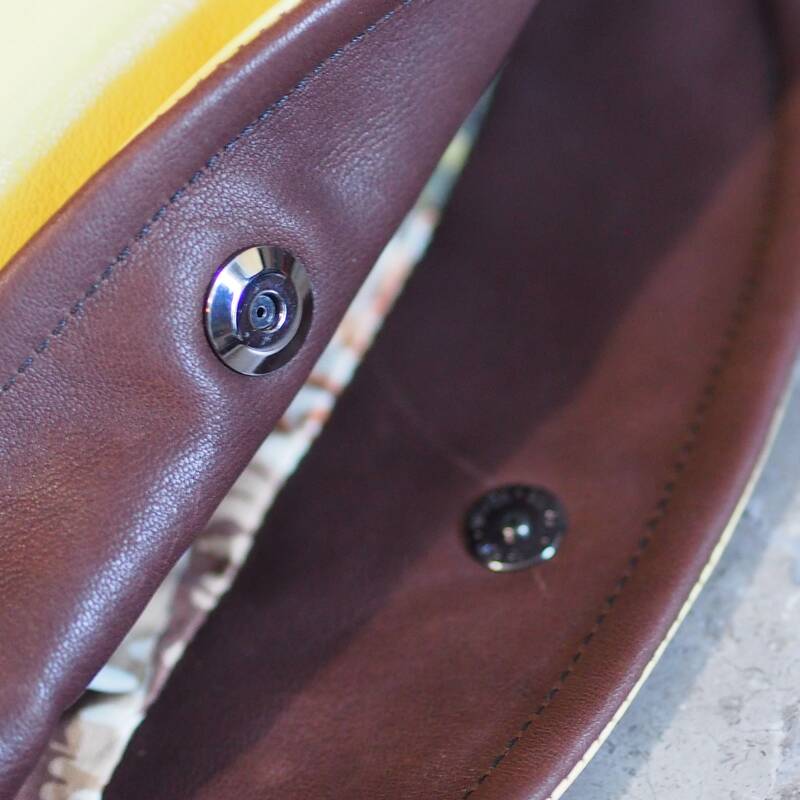 A coordinating soft brown cowhide is used to line the strap and the flap, which secures with a simple low profile designer magnetic snap. 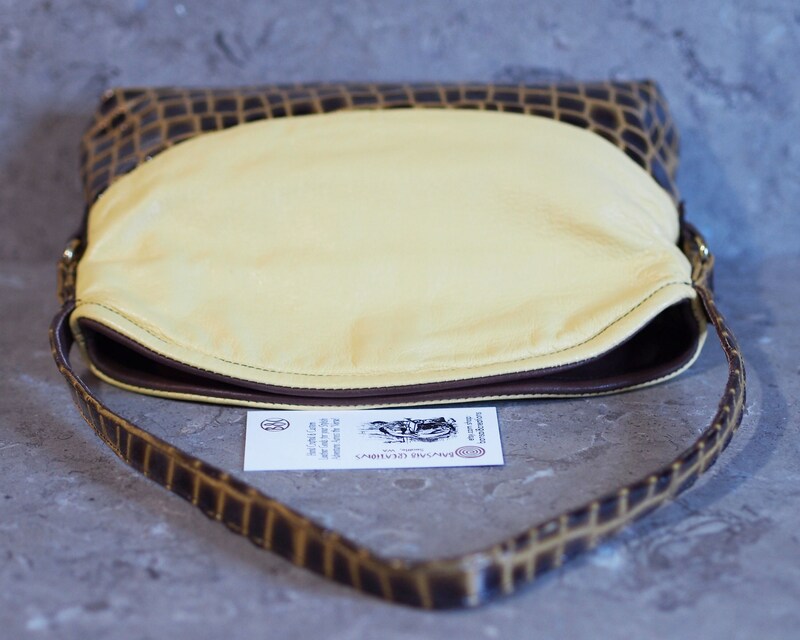 The bag body is 10" across (when flat) and 7" to the top of the arch. 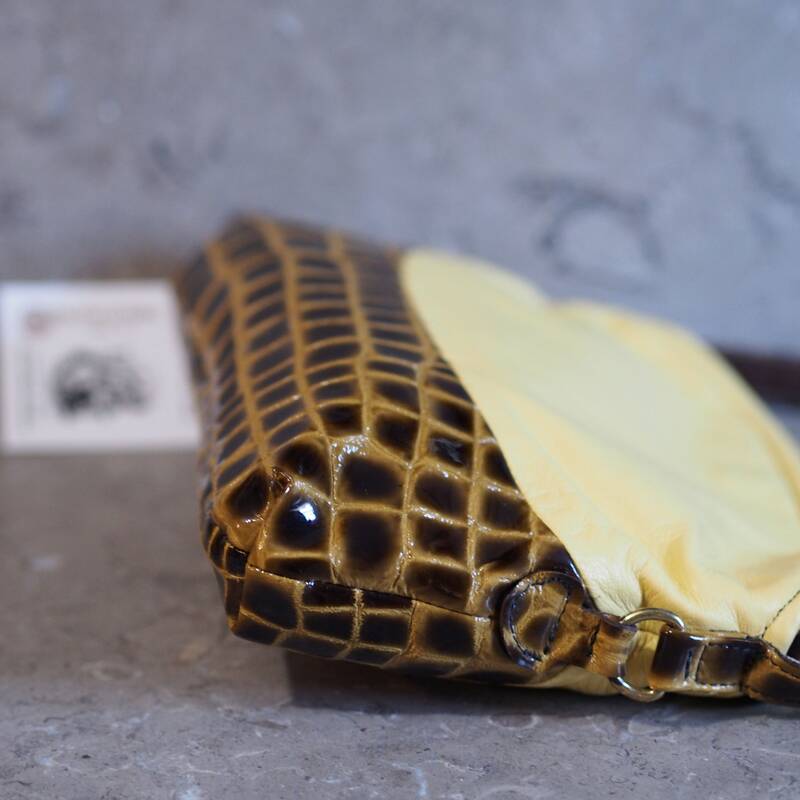 The sides are 6" high, and the bottom is "boxed", so it's nearly 2" wide. 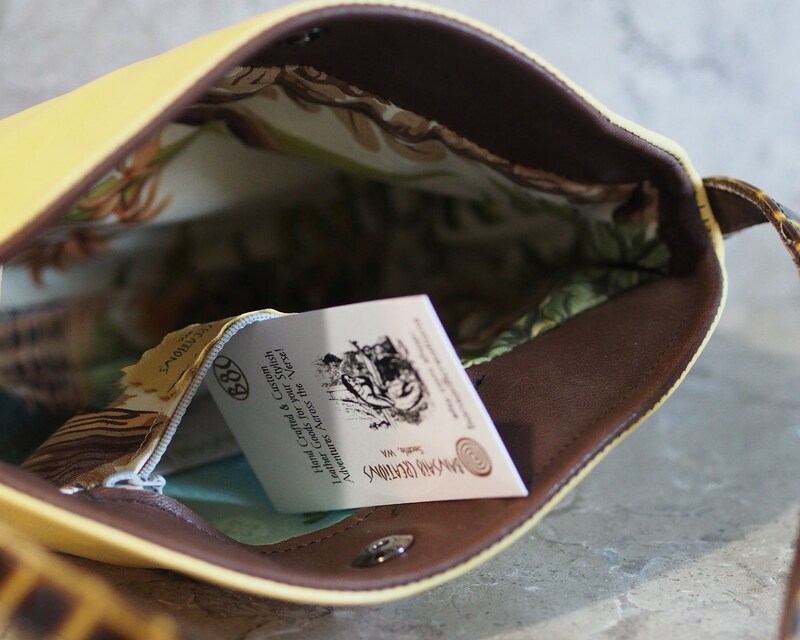 The strap apex is 13", or just over 6" above the arch of the bag, and 18" in total between where it's fixed on the bag, so it's designed for wearing on the forearm, or hand. 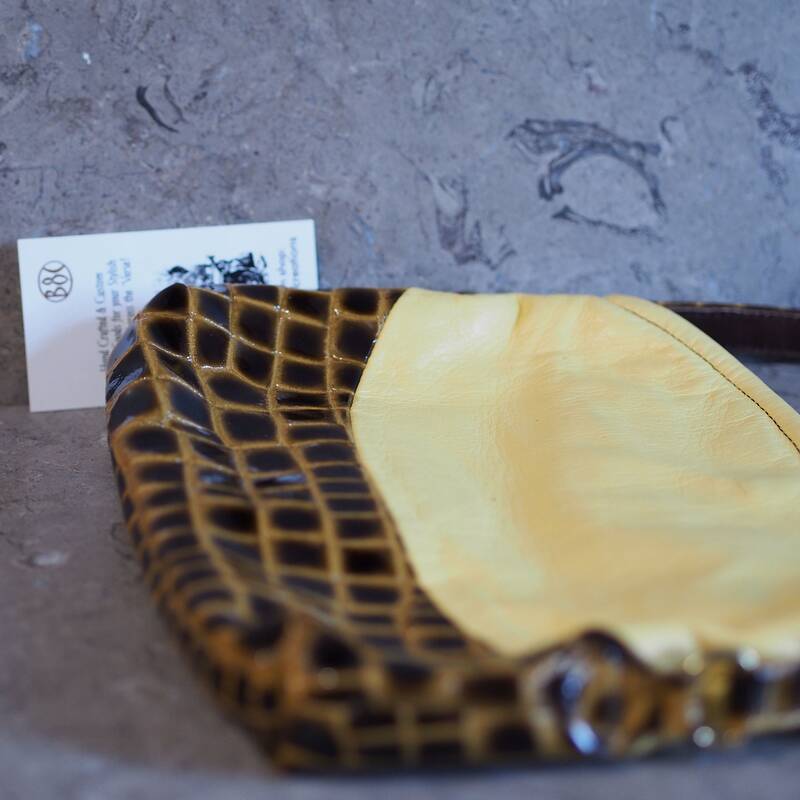 The 5/8" wide strap is stitched to the bag top (else the bag swung too much) and fits onto a D-ring, which is fixed to the croc bottom of the bag. 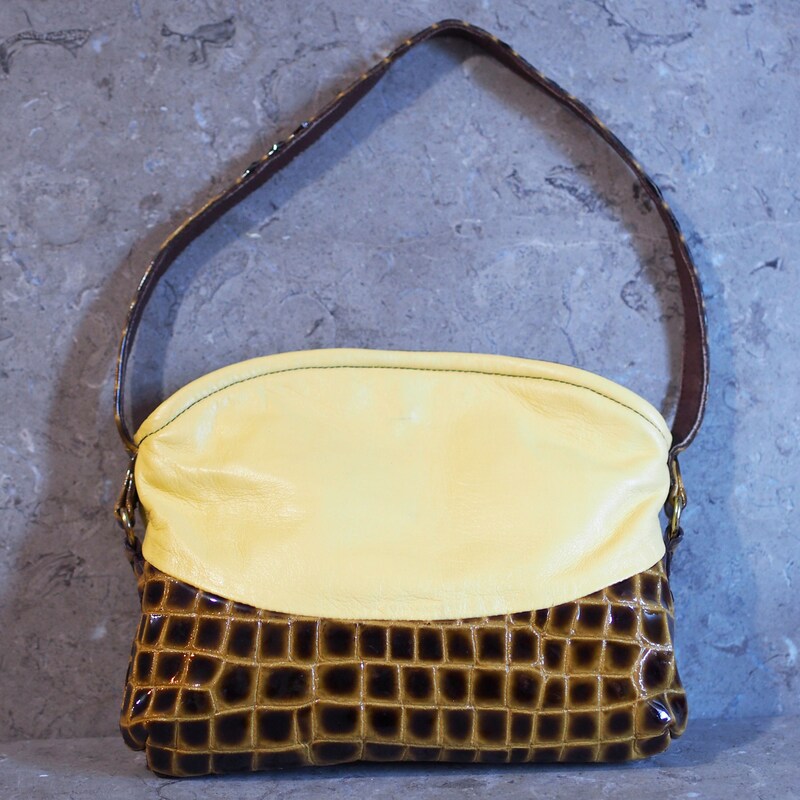 The strap is the croc lambskin, folded and lined with the brown cowhide for comfort on the arm or in the hand. 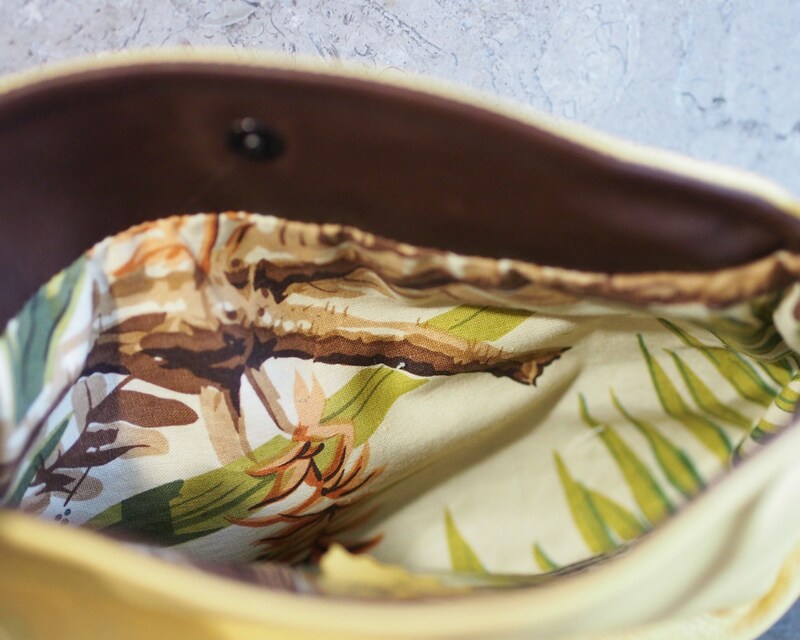 The leathers are soft enough the bag can be made nearly flat, or easily rolled to fit into a suitcase or day bag, if you want to pull this out to go out for lunch, or an evening event. 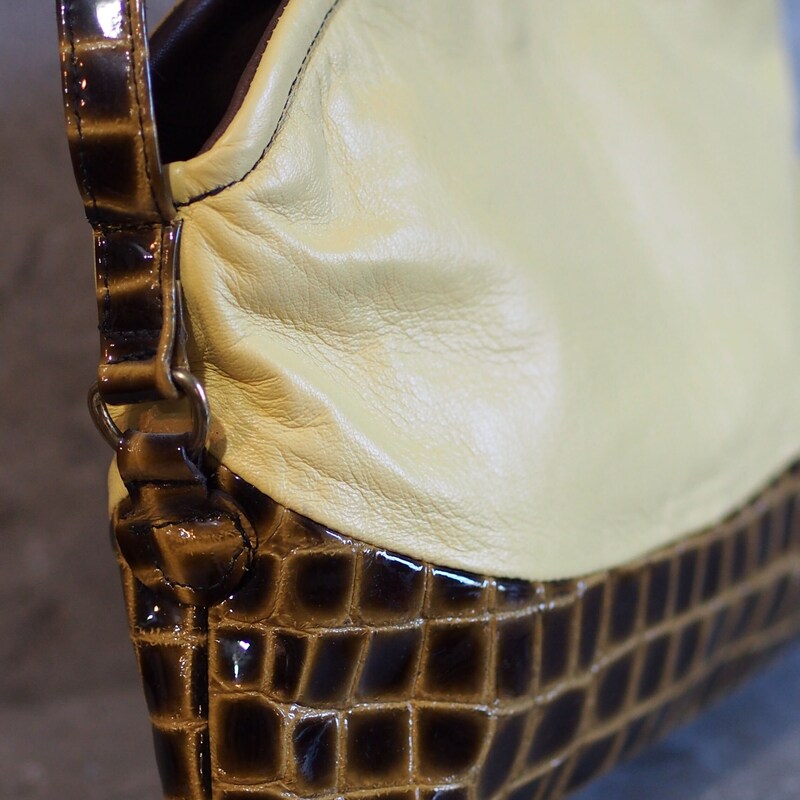 This is OOAK because of the lining, but I can make this bag with different leathers & linings, and other changes to suit custom requests.